At Beauty Culture our philosophy is natural beauty, therefore we like to use products that are naturally developed and produced. 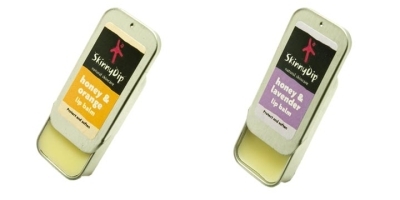 We use a local brand named Skinny Dip. A word from SkinnyDip ... we don't test on animals or use ingredients tested on animals or use lanolin. In terms of totally natural, my preservative (less than 1%) is artificial and my emulsifier (about 5%) is naturally derived. In terms of other stuff, we have Malvern spring water, local beeswax, Cotswold lavender, organic and fairtrade ingredients and obviously made in Malvern. Over the coming months Beauty Culture tutorials will be appearing on this page. As an introduction into the use of Skinny Dip products coupled with with useful techniques, please find our first video about how to improve the condition of cracked heels below.